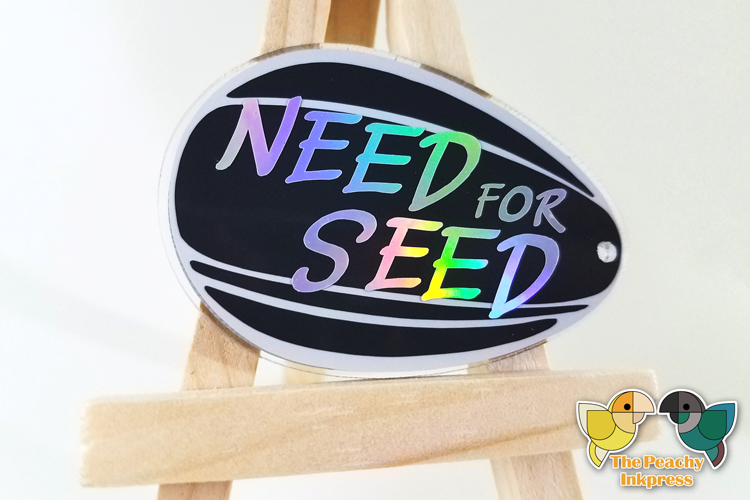 Have you got a NEED for (sunflower) SEED? 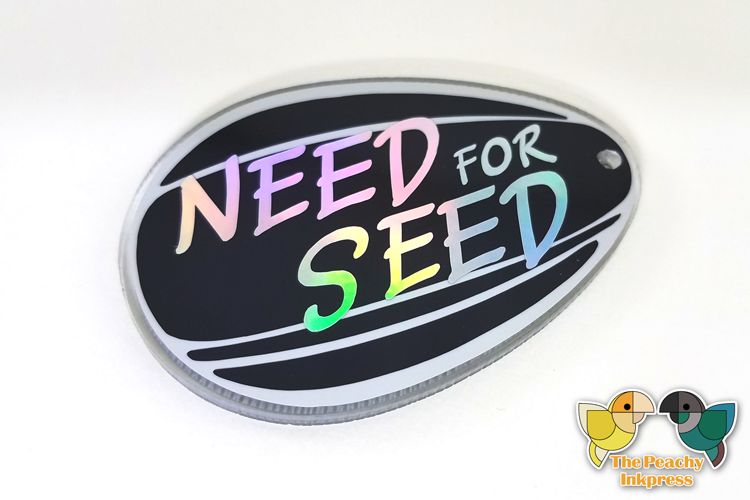 This fun, flashy keychain uses oil slick rainbow vinyl for the text. Please note that the sealing process takes about a week to cure completely, so if you're wanting to order for a special day or event, be sure to order earlier so that the item arrives in time. This sunflower seed is not real food. Please do not eat it.